It is done. I hope there aren't mistakes. Thanks @bernd for the opportunity of helping. I see there is a long list of contributors. But i don't see my name in this list yet. It's just the top 100 contributors. Keep going an you'll make it in to the list. Ahh I did not know that. 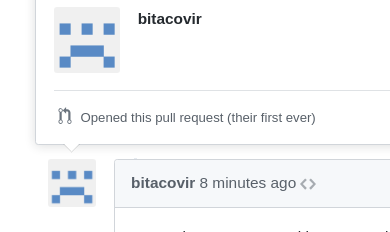 It is possible to get a full list on github. BTW: the github email must match with the email of the comiter.